In modern age when everyone is dying to look for different options to beautify their skins, be healthy and décor their houses there is one thing which can accomplish all these things alone. It is nothing else but Himalayan salt blocks. Pink Salt benefits are endless. It is covered inside a protective layer of the volcano and when extracted it is the purest form of salt. Its vital minerals provide extra nutrients to body and skin. It can be used as a medicine too as it has no impurity. Goiter and all related diseases caused due to salt deficiency can be diminished by Himalayan Salt. Himalayan salt has been used in decoration and utensils making since ages. It proved to be the best raw material for utensils but after considering its miraculous benefits to body Himalayan Salt is used as cooking pans’ substitute too. 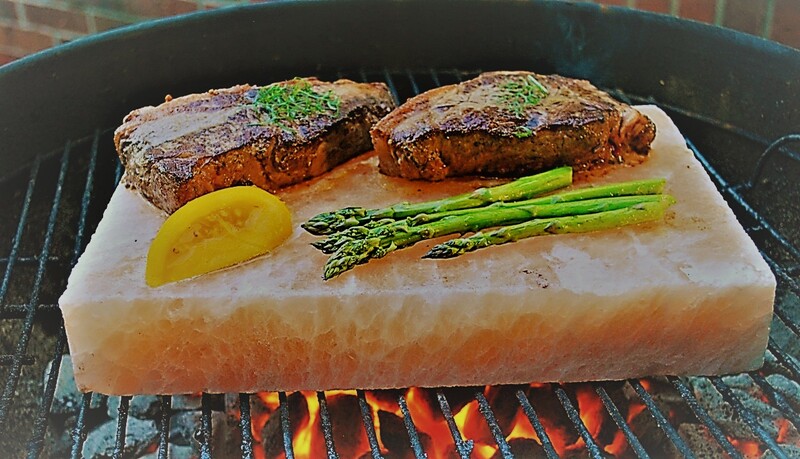 If you want to know the reasons for which Himalayan salt block is used in cooking and grilling pan then dive deep into our post. So let’s start. Himalayan salt is a complete package in terms of nutrition value. 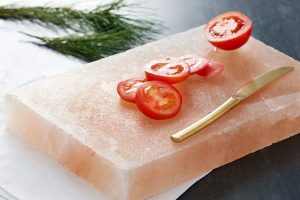 If you attempt to cook your food on the block of Himalayan Salt then all the nutrients present inside that block are transferred to your food. This will make food even healthier and delicious. The toxic components transferred from metallic pans are diminished. You will find the taste of food to be yummier and is healthy at the same time. The pots that we use for cooking are mainly of steel or any harsh metal. This is found to be the main cause of many diseases like osteoporosis and Alzheimer. The contaminated plastic can intoxicate the food. Plastic pots are made from recycled goods which means there is no guarantee of it to be pure. On the other hand, Himalayan salt pots contain no harmful ingredient. It is pure and refined. If you use such utensils, the health meter of your food will remain intact and high. Himalayan Salt is extracted from Pakistan at Khewra Mines. This salt remains under the sun which turns it into a healthy and nutritious salt block. If food is cooked on such blocks, it is known to boost the level of energy in humans and improve digestion. The amount of sodium in Himalayan Salt is the most appropriate one to regulate the electrolytes in the body. It is also very useful to maintain a balanced pH level. Blood pressure and cholesterol also get control by cooking food on Himalayan Salt block. These were some of the benefits of cooking food on the Himalayan salt block. These were not all, it possesses such a huge number that it becomes difficult to jot down all. Undoubtedly, Himalayan Salt is the best and purest salt found in Pakistan.